London cabbies union, the LTDA, has lost its High Court battle with Transport for London to order a judicial review of the east-west cycle superhighway scheme in London. The LTDA had argued that transport bosses in City Hall needed to obtain planning permission for the scheme under EU rules because it was a ‘development’. The judge saw it differently, however, and sided with TfL, who had deemed the scheme an ‘improvement’ — therefore not requiring permission. Quite where the LTDA planned to go with legal action is somewhat of a mystery as works started in April last year and are due to be completed by this summer. The LTDA argued that the disruption caused by the works had caused massive delays. 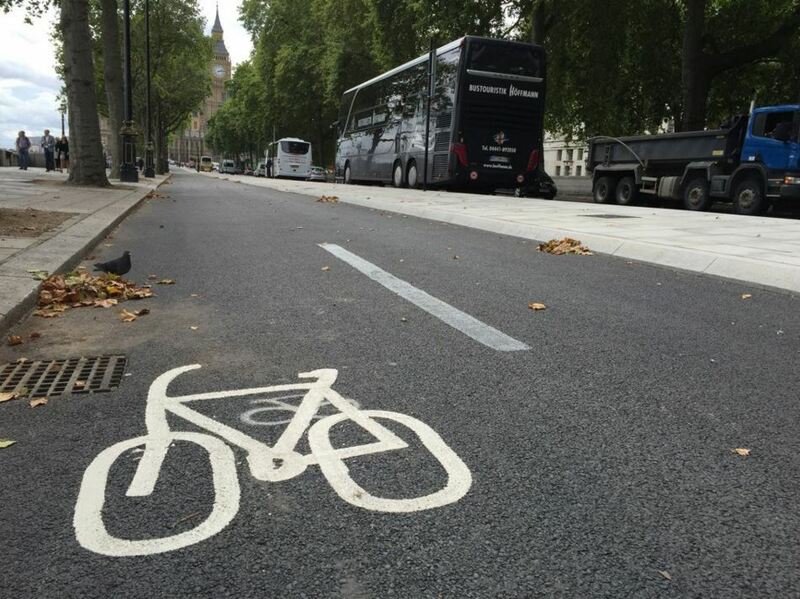 The cycle route stretches from Westbourne Grove to Tower Hill via Victoria Embankment and features segregated lanes which separate people on bikes from traffic. Cycle commuting is significantly increasing with TfL recently projecting (PDF) people on bikes will outstrip private cars in London’s rush hour in the next two years. The LTDA are in a different action today as a huge protest in Westminster about deregulation and the impact of Uber on their trade.